Live your purpose and passion and you will find prosperity. Whether of not you count your riches in money, apply the wisdom of these expert authors to craft a life that's richly rewarding. "It is absolutely within your power to craft the life of your dreams. The journey is not guaranteed to be easy, but it's guaranteed to be exciting, fulfilling and rewarding. 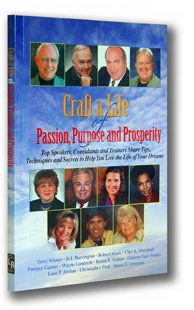 Take the insightful information in this book and use it to craft a winning life. Healing on Higher Ground is the compelling, true story of a young couple who is struck not once, but twice with life-threatening conditions. 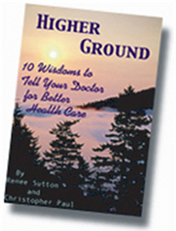 Faced with a medical community taught to hide hope, Renee Sutton and Christopher Paul tell how they reached beyond the standard medical care and predictions to heal.